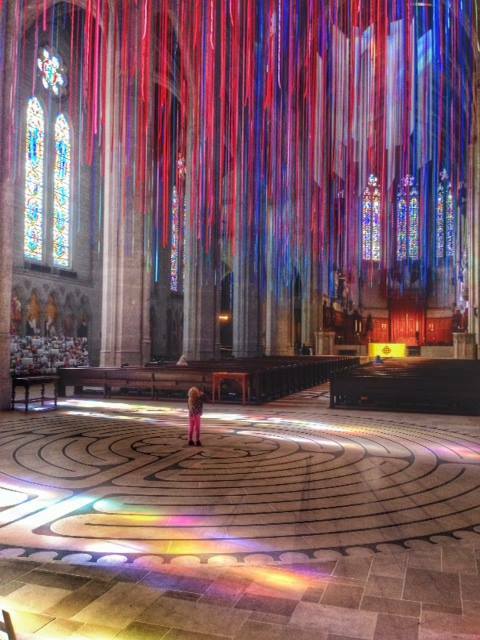 Nearly 20 miles of colorful ribbons are suspended from the ceiling of San Francisco’s Grace Cathedral as part of the ongoing installation “Graced With Light” by Anne Patterson. The installation was unveiled in spring 2013 and over the past months has been the backdrop for a series of performances, video projections, and other collaborations. 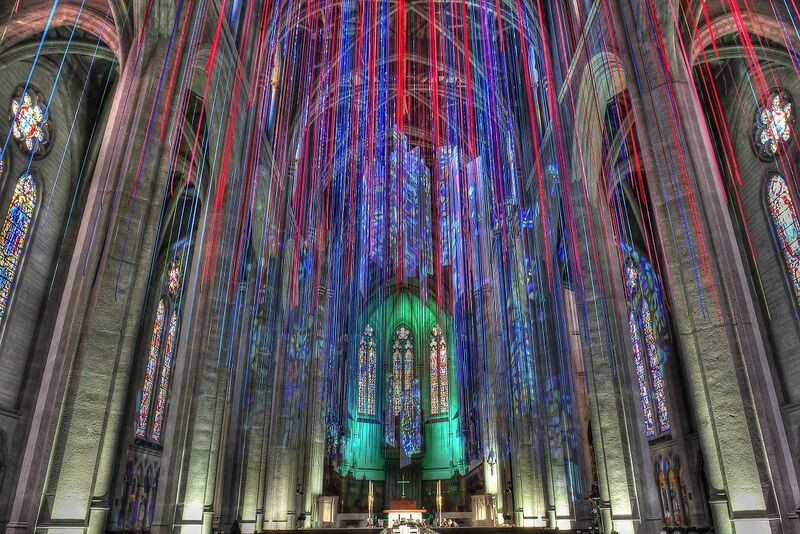 “Graced With Light” was originally intended to end in fall 2013, but due to its popularity, has been extended to February 28, 2014. 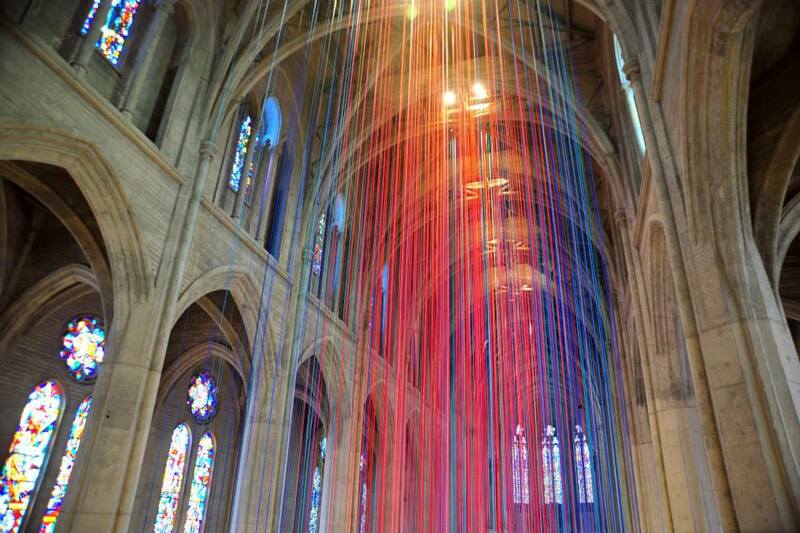 For more on the installation see this San Francisco Chronicle article.